​Experience is the best teacher.I have bought cars around but SBT JAPAN is the best. If you are looking for good and low mileage vehicles don’t doubt me call SBT now. Able experts like Me Shiraz will never let you down till you get your vehicle. He calls you for updates from the day you pay up to the day you receive your vehicle. 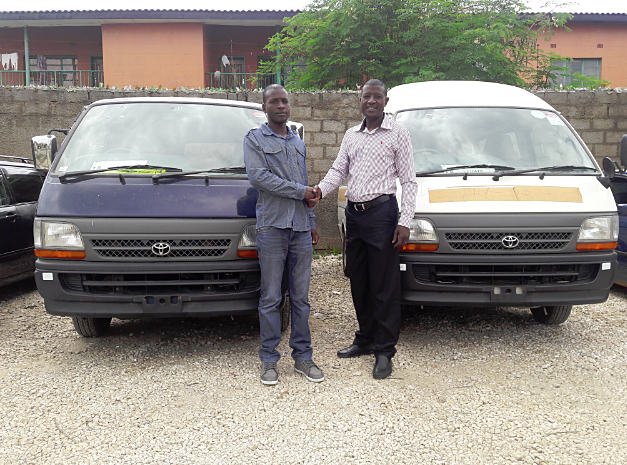 Me and my son ordered these two Hiace vans and it’s unbelievable they are neat and not tempered with. I am very happy thank you SBT I am yours forever.